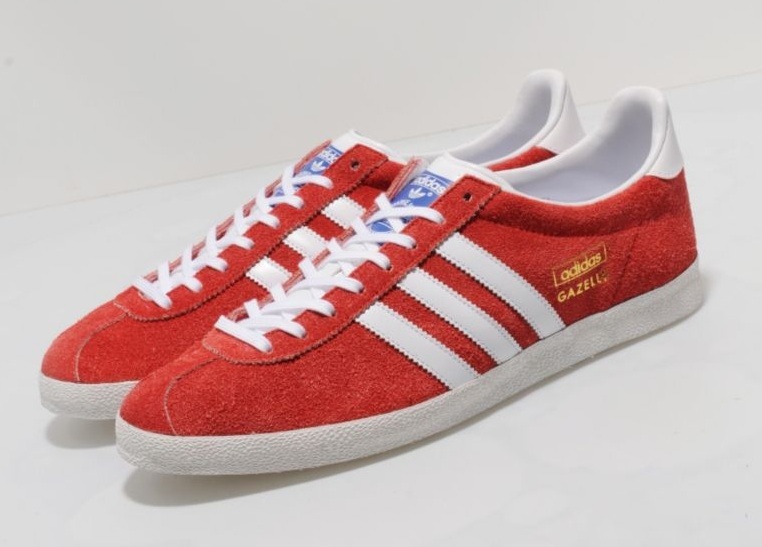 One of the most recognisable trainers from the adidas Originals Archive, the Gazelle was first introduced in 1968 as an all purpose training shoe. 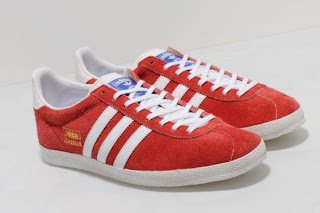 This OG example comes in a premium suede upper in infrared with white three stipe detailing on the side, white tongue and clean white heel panel. 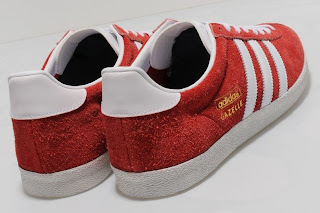 Adidas Gazelle branding is present on the side in gold metallic foil print detailing. It features a slim line texturised mid sole and hexagon-shaped out sole. 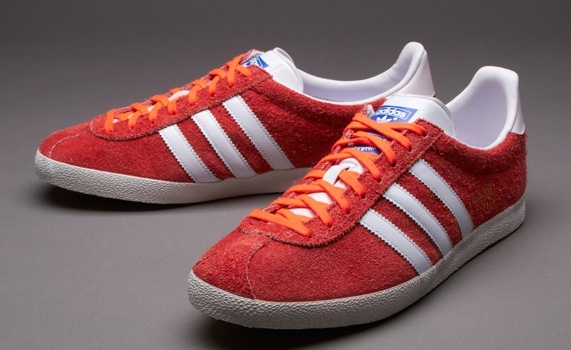 A large branding is printed onto the tongue and these shoes come with additional laces.